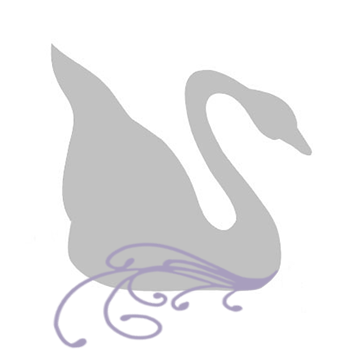 As you can see I have been diligently working on revamping the website, studio blog and the Crystal Allure logo. I'm actually quite pleased with my hard work! I'm most excited about the logo. A while back I had started incorporating one of our unique beaded necklaces in our printed and online material. I liked it so much that I decided to bring it back. I have now incorporated that necklace into our logo along with a green ribbon. That is the part I'm excited about. Crystal Allure began in the beaded jewelry business creating transplant awareness bracelets for a very under-served community. Everyone is familiar with awareness ribbons and green is the color for transplant awareness. Well, after having expanded our jewelry collection offering over the years and looking back -I felt the ribbon speaks most about Crystal Allure. Not only is unique beaded jewelry by Crystal Allure a gift (hence the ribbon and bow wrapped box!) our new logo using the ribbon speaks to the generous transplant community and organ donors that Crystal Allure has come to serve, appreciate and respect over the years. And the best part, is mixing both the green ribbon and the brown gemstone necklace, relates two of my favorite colors of nature! It's a win-win! I hope you are as excited about our new look as we are. We'd love to hear from you -leave a comment below. In other news, Crystal Allure will be participating in a very special giveaway hosted by Favors With Love. Check out the banner in the right hand column, click over and enter for your chance to win big! The giveaway starts June 20th -be sure to check out the posting on that very Monday as Crystal Allure's piece will be highlighted for the day! I love your new look! And the idea of the ribbon! And the green and brown are my faves to in case you haven't noticed! Thanks Cathy! A year or so back I had started out with pink...not my thing. Then it morphed into an obsession with pink and brown. Loved the combo but just didn't like pink. So, now redesigning it myself. I played with the moss green look (because I also love the color green and it represented transplant awareness) and viola' -perfect!